Schubert arranged by Mertz, Craeijvanger's only known guitar works and Schumanns Dichterliebe arranged for guitar solo by Fernando Riscado Cordas. 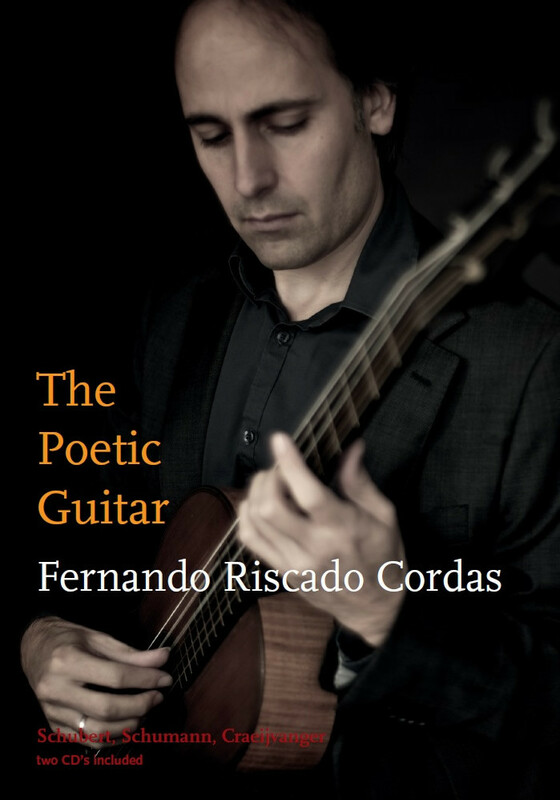 In The Poetic Guitar (308 pages, NL/ENG, hardcover) the reader/listener becomes part of Cordas' project of arranging Dichterliebe for guitar. Also the lives and struggles of several 19th century composers, musicians and instrumentmakers become visible and alive. 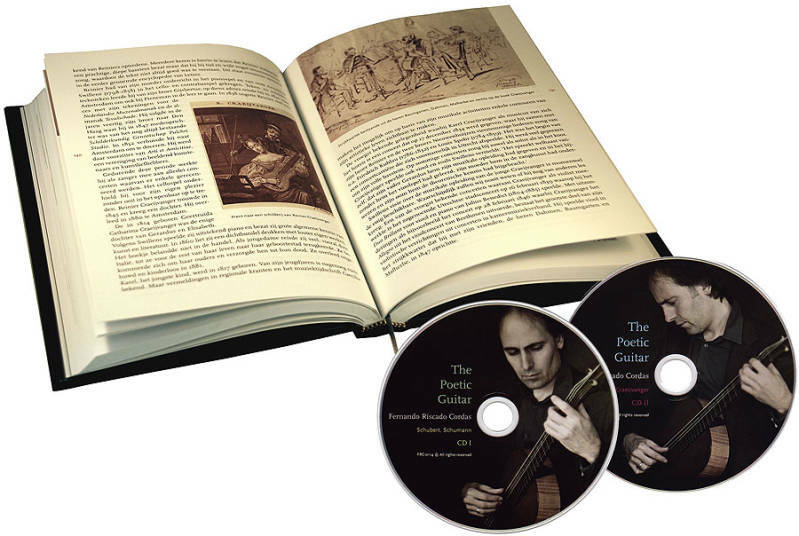 The CD's in this publication contain the first ever recording of Craeijvangers Trois Nocturnes pour la Guitare. Craeijvangers works and Mertz' Schubert arrangements are played on a guitar built by Johann Georg Stauffer, datet 1824. The guitar was kindly provided by the Gemeentemuseum Den Haag. 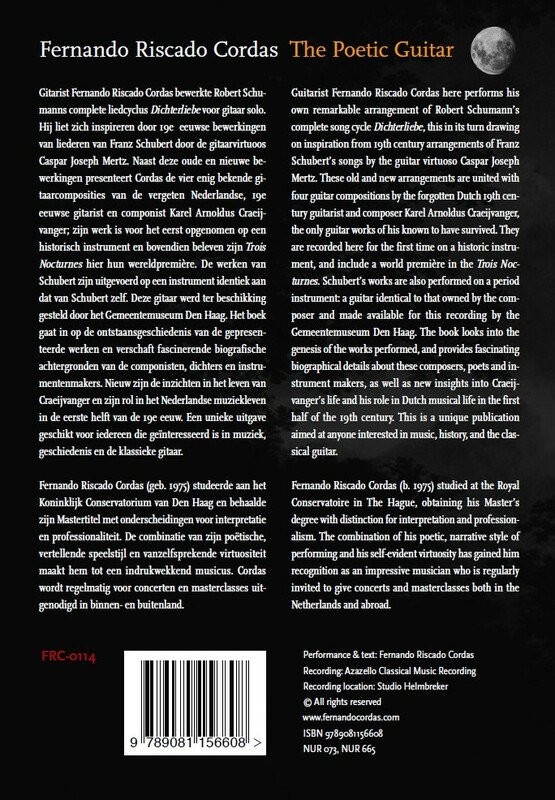 Included are 2 CD’s featuring music by Franz Schubert (arranged by Caspar Joseph Mertz), Robert Schumann (arranged by Fernando Riscado Cordas) en Karel Arnoldus Craeijvanger.